Our graduates work at Boscobel High School, Pleasant Valley High School, Prince of Peace Catholic School, Rivermont Collegiate, Orion High School, Lincoln-Way Central High School, Clarke University, and Muscatine High School. 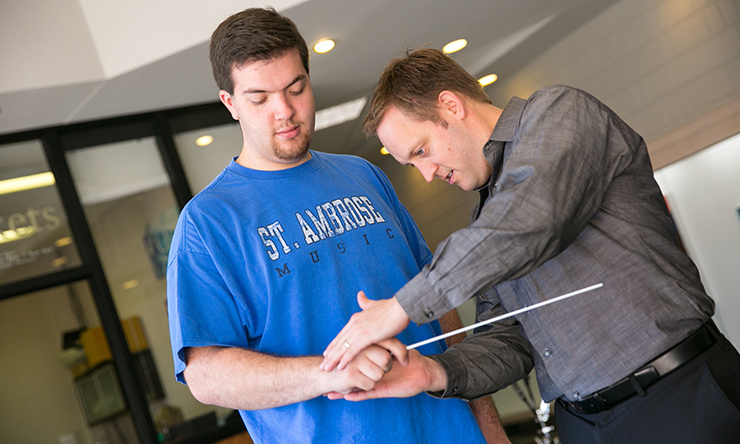 Our Music and Education faculty are exceptionally dedicated, approachable, and active professionals. SAU can help you hone your musical abilities and become a successful educator, so you can inspire the next generation of musicians. You will learn to teach band, orchestra, chorus, and general music in grades K-12. 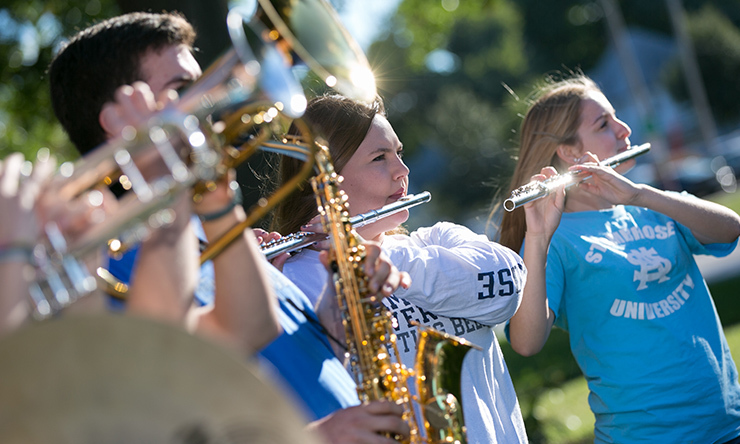 Music education majors work one-on-one with faculty ensemble directors, and they conduct public performances – an opportunity students don't get at most universities. What you also might not find at larger universities are music scholarships. Each year, the Music Department awards $170,000 in music scholarships, but you have to audition. Click here to find out more. Courses include music theory, conducting, music education, music history and literature, piano techniques, and aural skills. You also pick a concentration – vocal or instrumental – and take courses that correspond to your specialization. You also get to perform. Music Education majors are required to participate in a major ensemble, but we have so many you may want to participate in more than one. You will also get extensive field experience, including student teaching. St. Ambrose has a top-notch Teacher Education program with endorsements in elementary and secondary. We give you the skills to teach, and we encourage you to use your skills to perform. In fact, you can start doing so from the start of your undergraduate career. Join one or more of our performing groups: Symphonic Band, String Ensemble, University Chorale, Chamber Singers, Jazz Combo, Bella Voce (female acapella), Bee Sharp (male acapella), and STAMVOJA (vocal jazz ensemble). 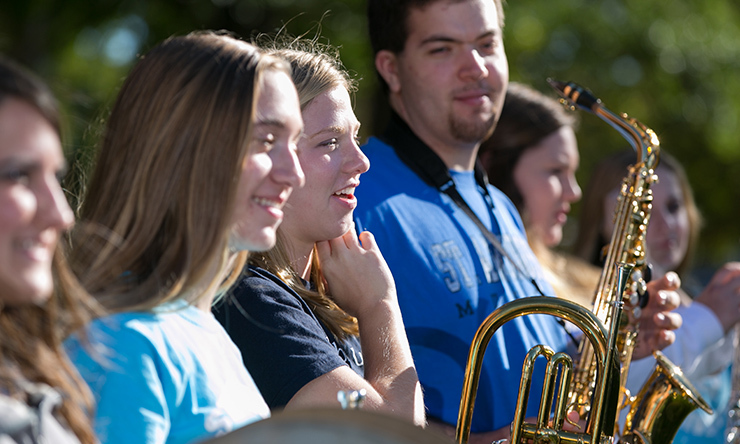 The number and diversity of music groups we offer is large for a department our size, so you get all the experience you'd get at other schools, but with the benefit of more attention and leadership opportunities. 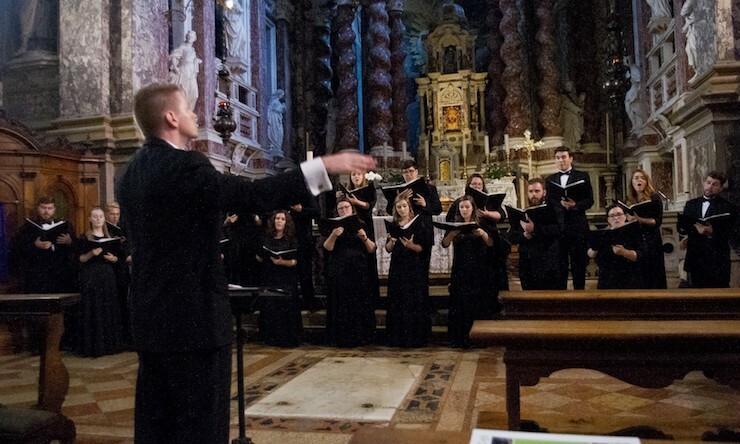 You can also perform solo, in a small ensemble on-campus or in the community, or even internationally. Read about our most recent International Tour in Europe. You can also compose, teach, and conduct large ensembles in a public performance – opportunities most universities our size do not offer. You can also join the SAU Marching Band. Because SAU is located within a strong performing arts community, our students get to attend and perform at many venues, including River Music Experience, Quad City Symphony Orchestra, Bix Jazz Music Festival, Mississippi Blues Festival, Nova Singers, the Adler Theatre – and we're only three hours from downtown Chicago and Des Moines. Potential careers include educator (K-12, college-level, community music schools, private studio), accompanist, band director, conductor, music critic, musical theatre, performer, or songwriter. Your degree could lead you into other professional areas, including arts fundraiser or grant writer, event management, instrument designer, music agent, or music curator or librarian. 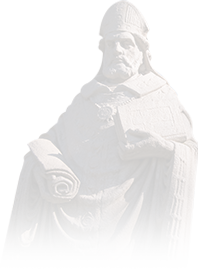 St. Ambrose has a noted reputation for graduating high-quality teachers. All of our Music Education graduates who actively seek a teaching position are hired to work in the field. Our students also have an excellent track record of acceptance into the graduate school of their choice. Course are 3 credits unless otherwise noted. For education courses required for a teaching license, see the Education Department section on elementary or secondary endorsements. This is the recommended 4-year plan of study for students wanting a bachelor's degree in Music Education with a vocal concentration. This plan assumes the student hasn't satisfied the foreign language requirement (three years of foreign language in high school). History course MUST be American History. BME students must complete a piano proficiency exam. BME students need to be aware of and comply with all deadlines set by the Education Department. *Basic Musicianship is not a requirement for the Music Major, although students may need to take the course to be successful in the Major. The course does count toward one of your humanities courses. This is the recommended 4-year plan of study for students wanting a bachelor's degree in Music Education with an instrumental concentration. This plan assumes the student hasn't satisfied the foreign language requirement. Important: BME students need to be aware of and comply with all deadlines set by the Education Department. *Basic Musicianship is not required for the Music Major, although students may need to take the course to be successful in the Major. It does count toward one of your humanities courses.